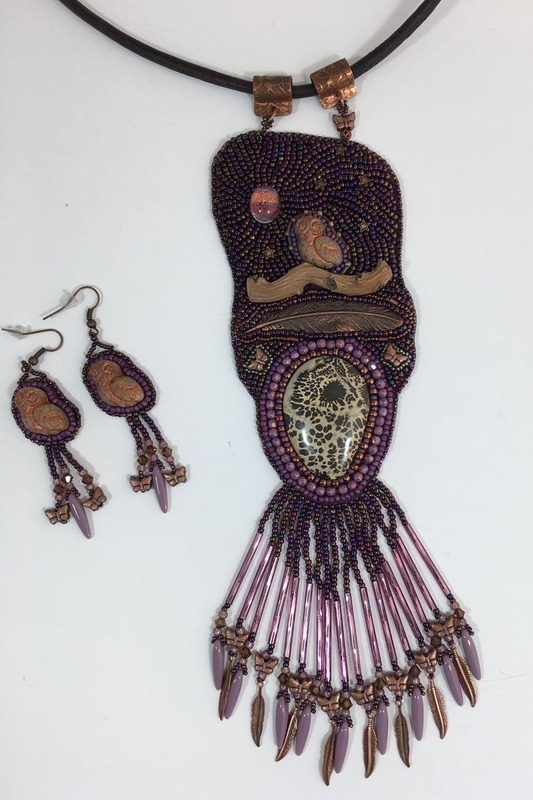 This gorgeous necklace and earrings are hand beaded by myself in tones of purple and copper. The sweet owl featured on the necklace sits on a real branch looking up at the beautiful moon and the night stars. The stone used is a beautiful Paintbrush Jasper, reflecting to the artist owl feathers. Beautiful fringe accented with stunning vintage 26mm purple bugles. 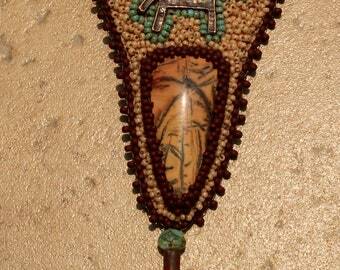 Each fringe is adorned with copper feathers or a purple Czech thorns. The pendant and earrings are backed with purple Ultra Suede.The pendant is strung on brown leather and hangs from beautiful hand stamped copper. Total length is 19 1/2 inches and can be extended another inch. 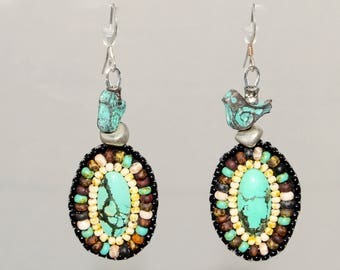 Nickel free ear wires support the dangle earrings that measure 3 1/4inches from ear to tip of earring. I OFFER FREE SHIPPING IN THE US ONLY.